Reader Request! 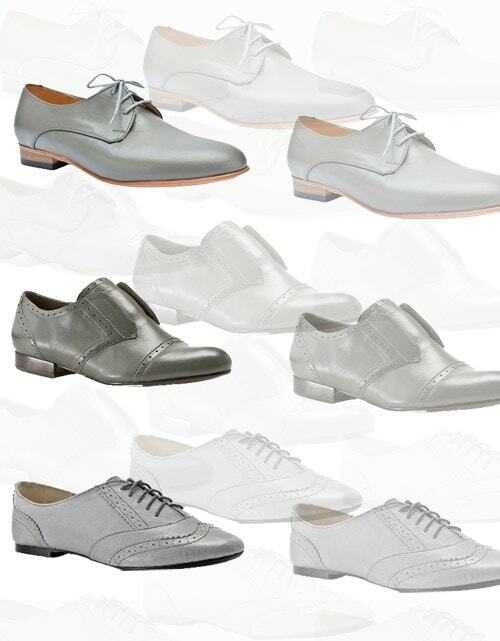 A reader recently asked what to wear with her brand new grey oxfords. Oxfords are extremely versatile and can be worn with almost everything – from jeans and a tee to dresses and skirts. 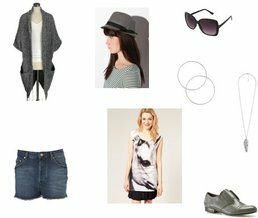 I have put looks together based on 3 fashionable celebrities who have been recently spotted sporting this trend. Wear it casual like Sienna Miller, with a flippy skirt and tank, for only $185 ($430 including shoes). Dress it up like Whitney Port, with a blazer and printed dress, for only $255 ($305 including shoes). Or go funky like Rihanna, with a oversize cardigan and denim cutoffs, for only $230 ($300 including shoes).